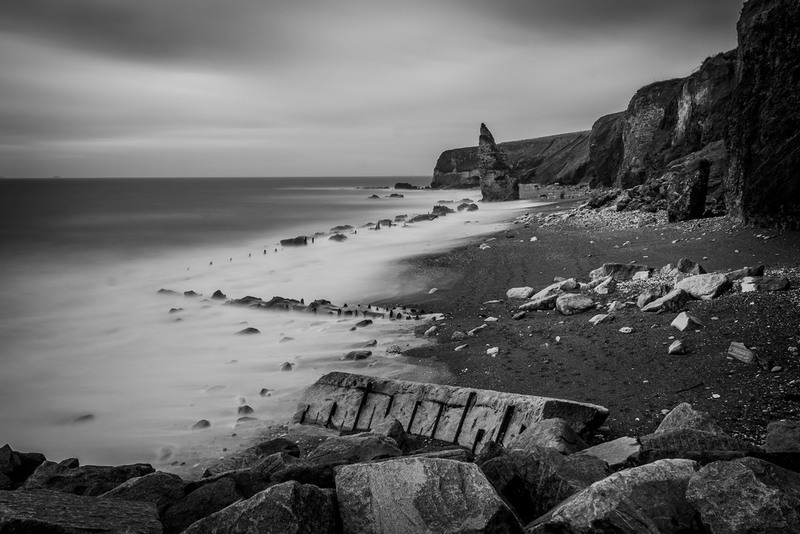 Chemical Beach, Seaham is one of my favourite places for seascapes as it has so many unusual and interesting features, all part of its industrial heritage. Following on from my last article here’s a few more shots from more recent visits. 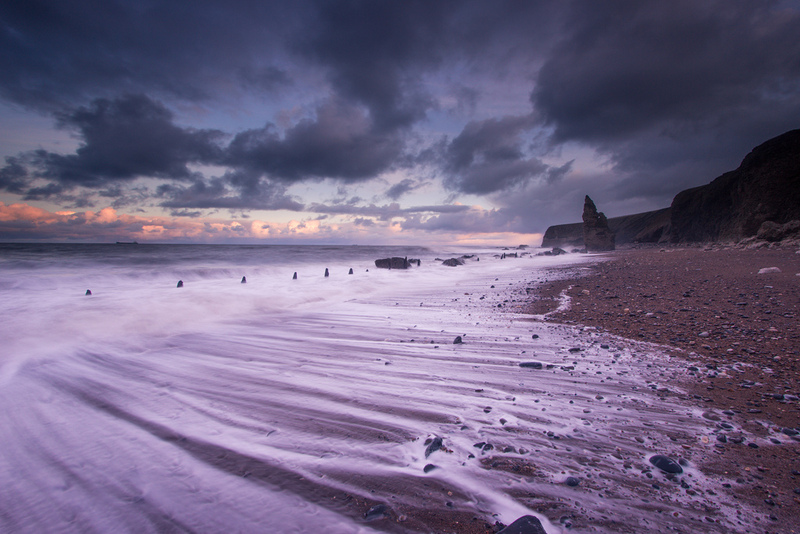 Blue hour on the beach. 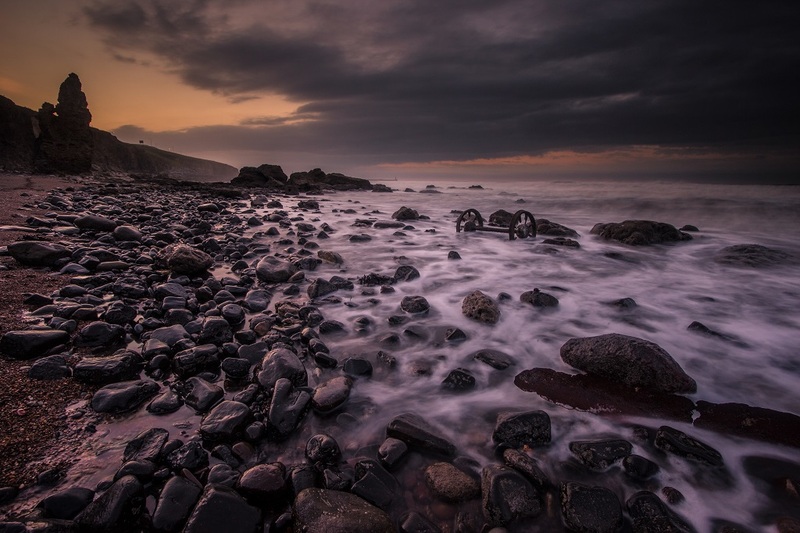 A stormy day on the beach, an ND filter was used to slow down the shutter speed to capture the waves crashing over the rocks. 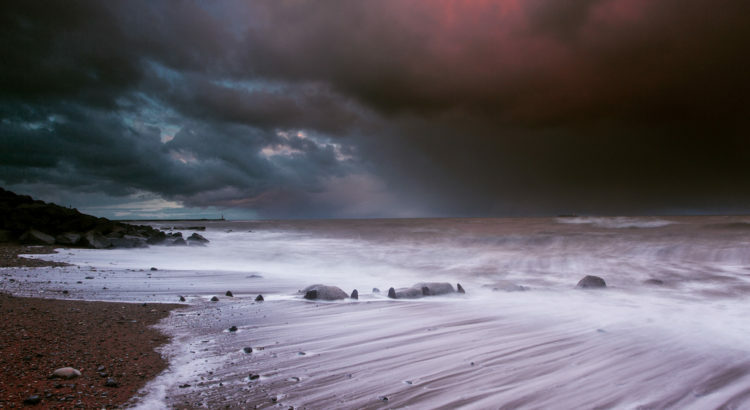 This shot was captured on Valentine’s day, it was a very visceral day, the wind was howling and it was sunny one minute and hailing and raining the next. The waves were crashing up the beach and thunder clouds were skimming the sea. I watched a cargo boat trying to make headway in the storm to the harbour. 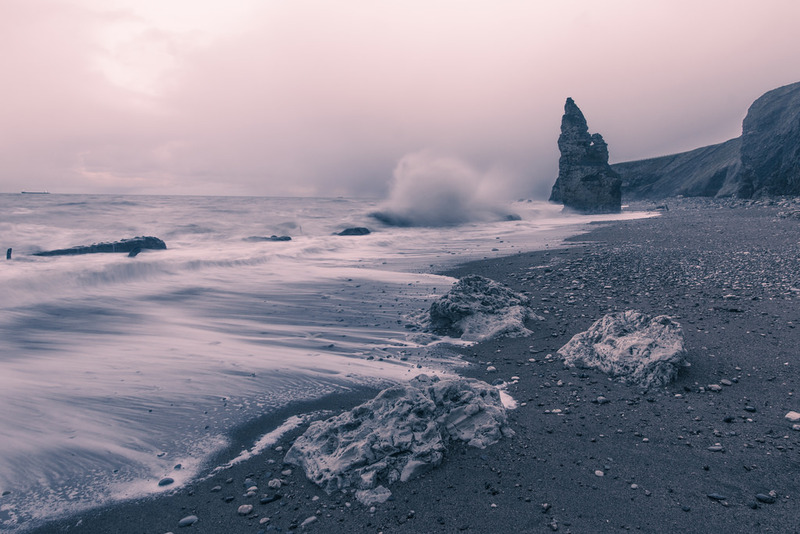 The light suddenly changed and the clouds were flooded briefly with a pink and blue hue. 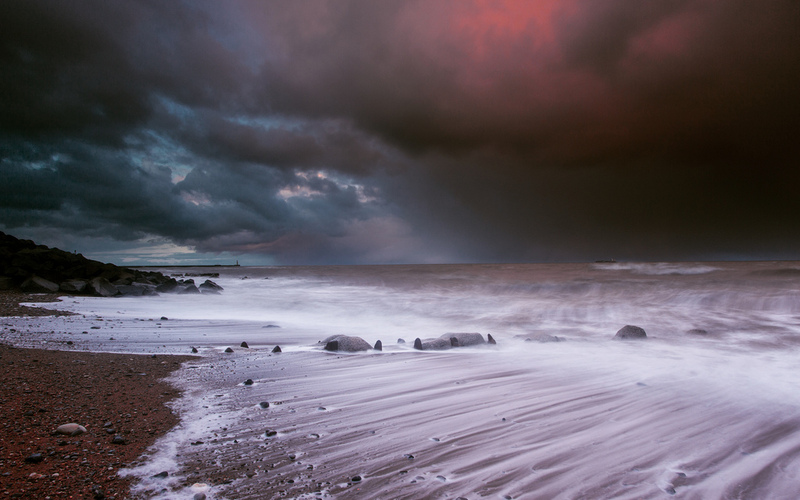 I wouldn’t usually shoot northwards from this end of the beach but the sky was so compelling I turned around. Another shot from Valentine’s Day, shortly after sunset in the Blue Hour. The waves crashing up the beach made nice pullback streaks. The colours of the sunset behind the cliffs reflecting off the clouds on the horizon. A mid-day visit, the light was pretty flat so I decided to try a long exposure using a ten-stop filter to bring out some movement in the waves and the clouds. 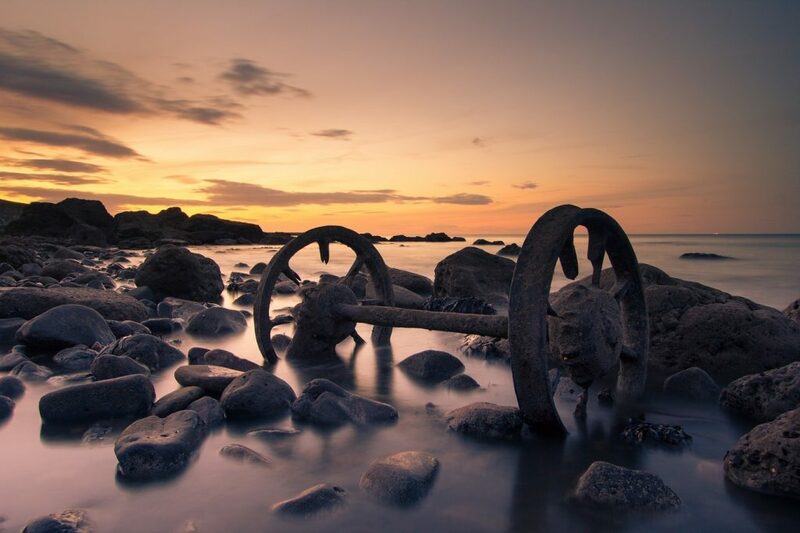 Some of the industrial past is shown on the beach along with Liddle Stack in the background in front of Nose’s Point. One of my favourite shots when viewed to its full size and resolution, I have this as my laptop lock screen! 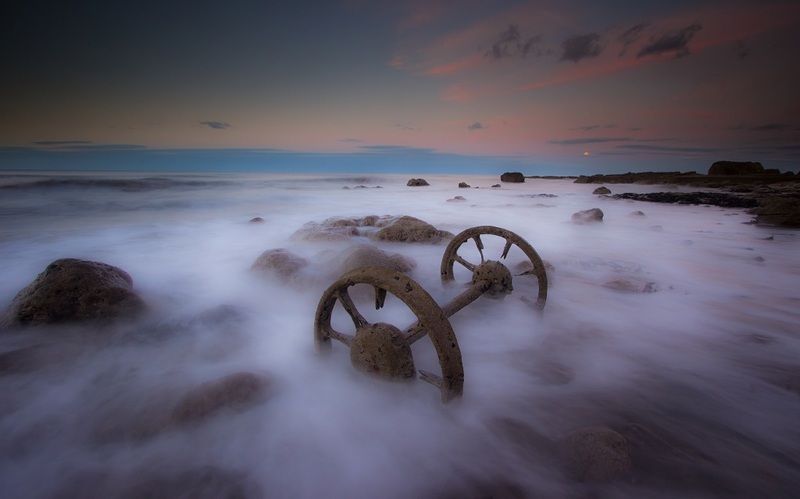 A very calm and serene sunset at the Chaldron wheels at Seaham. The summer Solstice moonrise of 2016 with the surf rolling through the chaldron wheels. Not even wellies and finding the biggest rock to stand on kept me dry for this one! 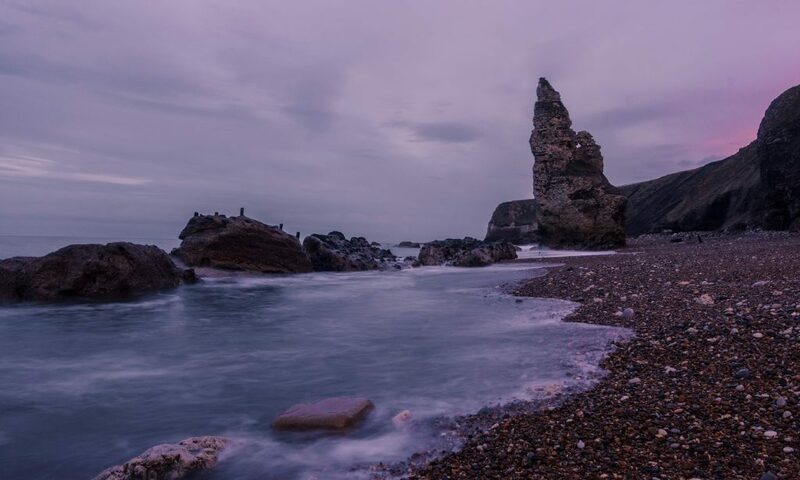 Just come across your website, some lovely shots of the area and certainly motivated me to try Chemical Beach – I didn’t even know it was accessible!